If you follow along on Facebook or Instagram you have probably noticed that I have been doing a bit of knitting lately. So needless to say, I was delighted to come home one day and find this review copy of Lace One Skein Wonders waiting for me! 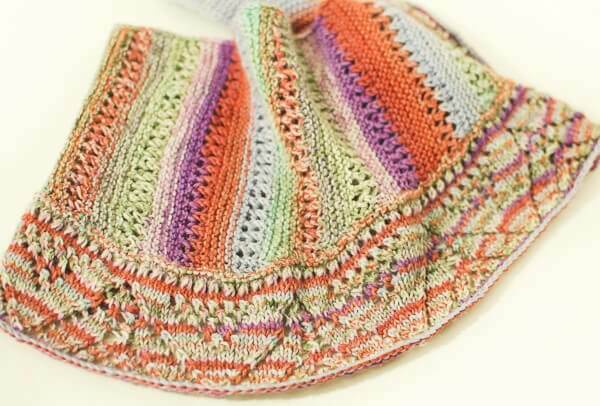 I didn’t waste much time picking out one of the pretty patterns from the book and getting started. I chose the Mezzaluna Scarf designed by Marianne Hobart. 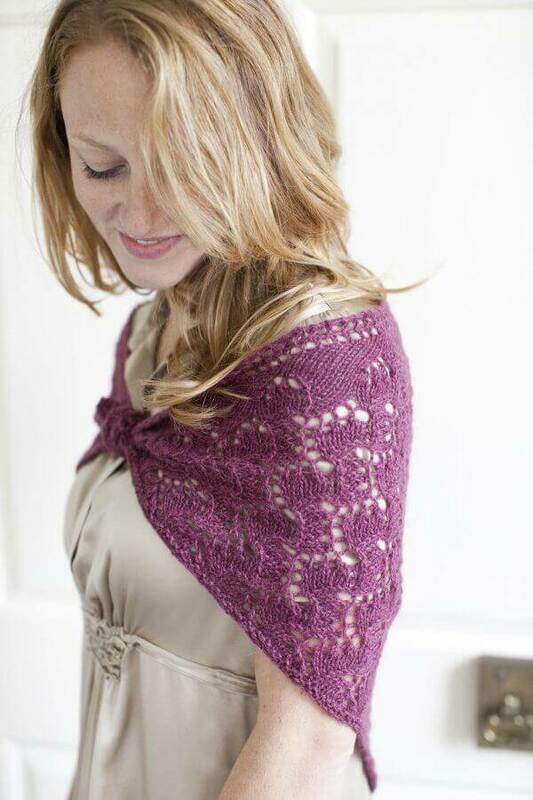 This was a challenge for me since I had never done any lace knitting before, but the explanations were great and I soon had the rhythm of the pattern down. There are a couple spots where you will need to check the online errata information for corrections. I love how it came out!! Now I need to find which one I want to try next! 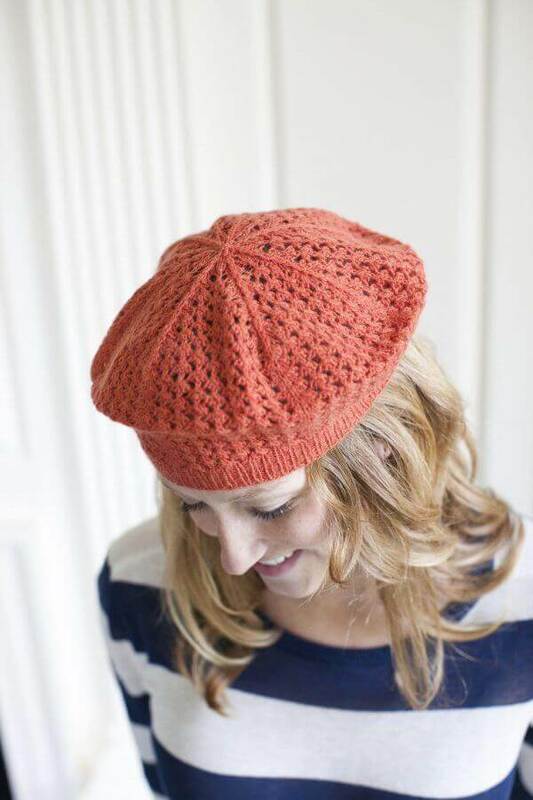 As the title implies, each pattern can be completed with only one skein of yarn. 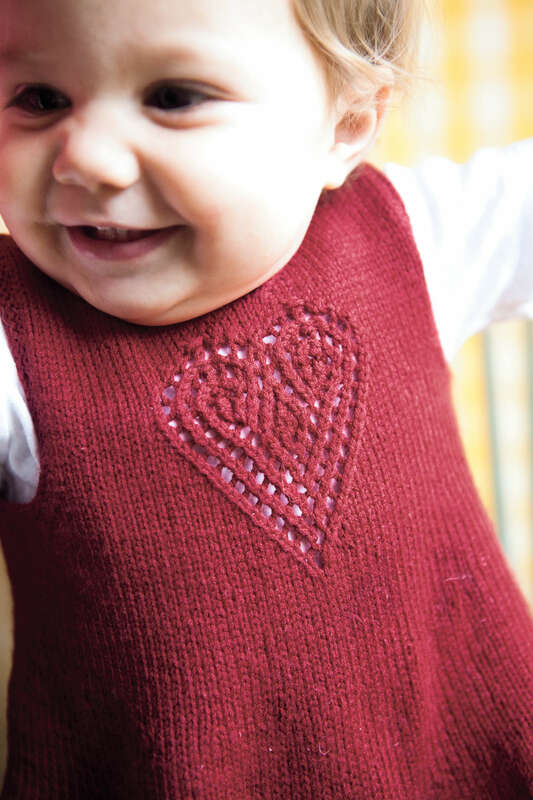 The projects are beautiful open-work designs and range from scarves, baby blankets, socks, hats, mitts, and wraps, and more! Most helpful to me was the Appendix where I could (and frequently did!) reference the abbreviations and a glossary of stitch how-tos. Want to see some more projects from inside the book? I love these! Photography © by Geneve Hoffmann Photography from Lace One-Skein Wonders, used with permission from Storey Publishing. I would like some help with these patterns that is really frustrating me. The no stitch squares on all the patterns. Pls explain what this is. Makes no sense. Spent money on these patterns and I can’t get them to turn out. 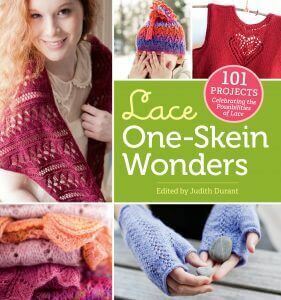 Kara, I LOVE the one skein wonder books. The projects are so fun and by only requiring one skein, are quick knits. 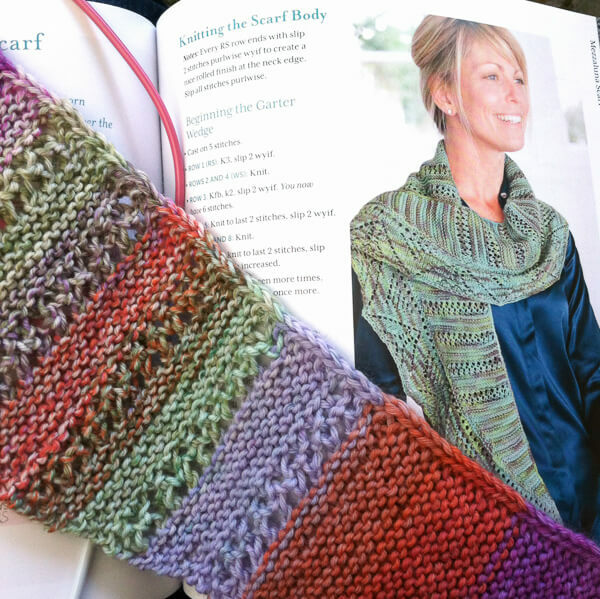 I too haven’t done any lace knitting but this book looks like a great way to give lace knitting a try!